Hip-hop is no longer in its youth. As have all genres that came before, and as will all genres that are yet to materialize, hip-hop has outgrown its cherubic roots. It has largely stripped away the cardboard terrain of b-boys past, teetering past the throws of an adolescence shaded with geographic feuds and sonic evolution. Hip-hop has been witness to baggy white t-shirts and skinny jeans and snap music and trap music and coupe de villes and grillz and everything in between. And with this maturation, hip-hop began to see its forefathers relinquish their thrones. In A Tribe Called Quest’s final album, 2016’s We Got It from Here…Thank You 4 Your Service, Q-Tip names four up-and-comers as the prospective greats of hip-hop’s next generation, passing the proverbial mic to these “gatekeepers of flow.” The names? Kendrick Lamar. J. Cole. Earl Sweatshirt. And finally… Joey Bada$$. Kendrick has doubtlessly taken the reins of hip-hop poeticism, every new release a further testament to this truth. However, for all of Lamar’s subtlety and erudition, Joey Bada$$ has seemingly filled Q-Tip’s shoes in another crucial role: that of the songwriter. Joey seems to have unearthed this strength at some point during the creation of his latest release entitled ALL-AMERIKKKAN BADA$$, a collection of songs that thrive in structure and melody. The songwriting community is well aware of the need to trim and truncate, adding to a song only those elements that could be considered a “hook.” In this sense, ALL-AMERIKKKAN BADA$$ is an absolute triumph. The strength of the guitar samples and synthesizer lines that pepper the record are likely due to the quality of the production team that Joey has amassed — Little Jackie’s Adam Pallin and fellow Pro Era signee Kirk Knight largely take the reins, and do so with panache. Few rap albums are mixed with such care, and the resulting body of work reaps the benefits of such dexterity. Songs like “For My People” and “Devastated” almost seem to be a response to the Atlanta-based microphone clipping and bass-centricism of the trap movement, the instruments and vocals layered and panned to perfection. Furthermore, many of these songs are simply catchy as hell. Joey Bada$$ delivers this record in two halves. The duality of the album is immediately evident, if not thoroughly successful — the first half shines the spotlight exclusively on Joey, devoid of any guest emcees. Melodic and hook-laden, these songs exist at the crossroads of Joey’s simultaneous maturation and retrogression (the turn of phrase and rhythmic alterations of his early verses is mostly abandoned for an evenly-paced delivery). This early portion of the record, which Joey refers to as “The Heroes Side,” marks an enormous evolution for the artist in terms of song structure; Joey Bada$$ is no longer merely the teenaged cipher king he was back in 2012. The jazz-steeped harmonies and horn arrangements that marked this early work, however, are not discarded in ALL-AMERIKKKAN BADA$$. Rather, this sound has been chiseled, compounded with a sense of electro-pop production that seems custom fit to appeal both to radio and “golden age” enthusiasts alike. In this sense, these songs are successful. In contrast with the first half of the record, the second is dark — Joey’s message delivered more abrasively and unflinchingly (Bada$$ refers to this as “The Vindictive Villainous Side”). Aided by guest spots from a host of peers including Styles P, ScHoolboy Q and J. Cole, Joey allows the grit of these songs to balance the harmonic vibrancy of the first half. Perhaps more thoroughly successful in tone and lyric, this half is a greater reference to the brash realism of many of Joey’s predecessors, the hooks more often vocal than instrumental. 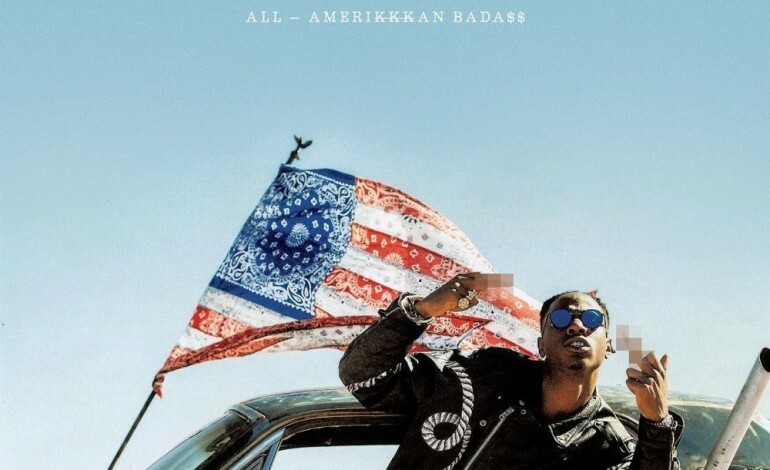 For its many hooks, though, ALL-AMERIKKKAN BADA$$ is a social album through and through (if the stylization of the title is not clue enough). This theme is at the heart of what holds the record back from success: while Joey’s desire to use his stature for social awareness and positive change is a noble venture, he has yet to determine a methodology. Hence, there is a significant difference between Kendrick’s and J. Cole’s calls for activism and the dull platitudes that fill Joey Bada$$’s latest release. While these seasoned rappers embody various characters and outlooks, examining the depth in plight and divisiveness of the modern-day ghetto, Joey is limited to broader statements. Therefore, while his charisma does shine through, the stance provided grows tired by the end of the album. Hip-hop is no longer in its youth. However, Joey Bada$$ definitively is — with an ever-expanding breadth of output and degree of fame, it can be easy to forget that Joey is a mere 22 years old. Still in the process of taking his first steps into an artistic identity, the sculpting of the emcee’s literal and metaphoric voice is in the midst of its true gestation and evolution. ALL-AMERIKKKAN BADA$$ undoubtedly means well, and for its many cons, there are abundances of strengths. Whether he can merge his social intentions with the intricacy of flow that first caught the public’s eye will be the true test for Joey Bada$$. And with the future of high-brow hip-hop held firmly in his grasp, only time will tell what’s next for the youngest in Brooklyn’s lineage of hip-hop royalty.